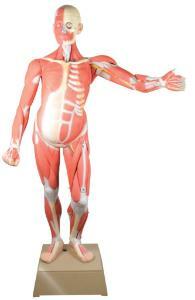 The life-size model of a human male is flexible for simpler research. 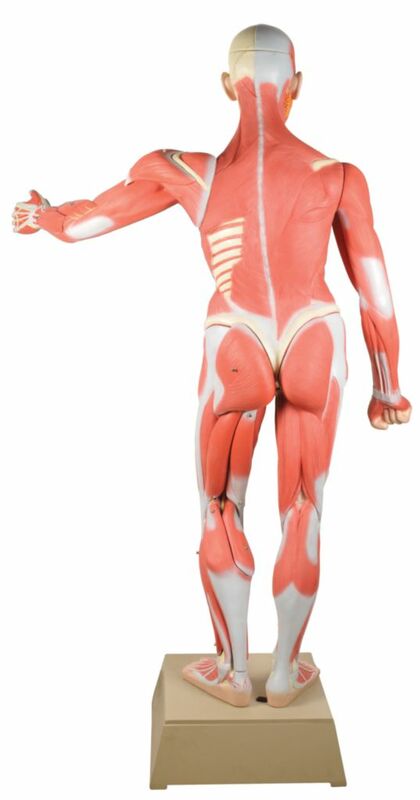 This model of human male shows muscular structure. This 36-part model shows details of musculature as well as internal organs.